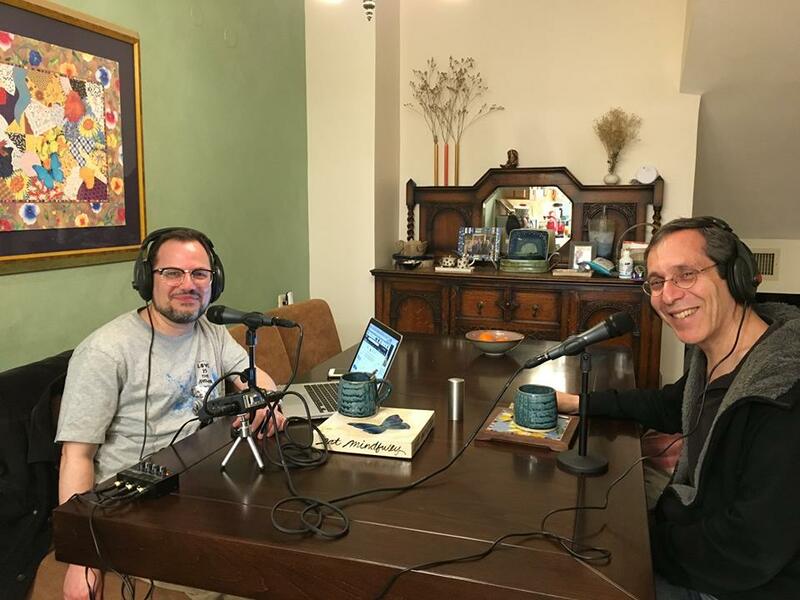 “Our Friend from Israel” is a new podcast by the folks at “From the Grapevine.” Host Benyamin Cohen came to Israel recently and interviewed Brian Blum about the Better Place story. Listen to the full episode here or on the From the Grapevine website. Benyamin: That’s Shai Agassi. The Israeli entrepreneur was giving a TED talk back in 2009. He had just launched a startup called Better Place. Speaker 3: He’s been dubbed the electric car prophet. His company is Better Place. Their product? Powering electric cars. Their vision? A world without oil. Benyamin: 10 years ago, Shai Agassi was on list after list of the world’s most innovative, young entrepreneurs. He was on magazine covers, he was invited all over the world to give his vision for the future of electric cars. Benyamin: In a sense, Shai Agassi was Elon Musk before Elon Musk. His company had an audacious plan. At the time, people were reluctant to buy electric cars because they were afraid the battery wouldn’t last all the way to wherever they were going. Sure, they could do short errands, but what if they wanted to drive long distances? How would they charge their car? More to the point, even if they could charge their car, they’d have to wait several hours for the battery to work again. Agassi’s Better Place company had a solution. Let’s say the typical charge got you 70 miles in your electric car back then. So, you would need to create charging stations every 70 miles, kind of like gas stations, where people could pull into. That would solve one problem, but people would still have to wait around while the car charged. But Better Place had another idea. What if you didn’t have to charge your car at these stations? What if the station already had a battery that was fully charged, and all you had to do was swap your battery for this battery? Benyamin: That’s Brian Blum. He’s a business reporter in Israel, who recently wrote a book about Better Place. Brian: The idea is you pull into what looked kind of like a gas station or a car wash, and your car would go in. It would go up sort of on a little platform. A robot would come in, take your empty battery out, the one that’s just gone 70 miles, and put it into the station and put a brand new, filled-in battery into your car, and in five minutes, off you would go and you could go on until you got to the next switch station and go another 70 miles. That was solving the problem of range anxiety. Benyamin: That’s right, 42 stations. Agassi’s dream was now a reality in Israel, which all sounds great. So, why don’t we hear about Better Place in 2018? In this week’s episode, we visit the Jerusalem home of Brian Blum to discuss the Better Place story, plus, the bizarre reason why most people who bought one, including Brian, had to return the car. Stay tuned. Welcome to Our Friend From Israel, a podcast brought to you by fromthegrapevine.com. I’m your host, Benyamin Cohen, and each week, we’ll have a conversation with an intriguing Israeli. They’ll come from all walks of life. Actors, artists, athletes, archeologists, and other news makers. On today’s episode, author Brian Blum. So, you recently came out with a book. What is the name of the book? Brian: Right, so the book is about the rise and fall of the electric car company, Better Place, which started in 2007 in order to make the world a better place, literally to get the world off of oil, off of gasoline by introducing a network of electric cars and an electric car infrastructure system around Israel, and eventually, to be around the world. The key about this company is that they wanted to make do with what the technology could handle in 2007. Nowadays, we see Teslas and GMs and all kinds of other cars and get two, three, 400 kilometers, or 250 miles on a charge, and that’s great. That’s really where the industry is going, but in 2007, you couldn’t get more than about 100, 120 kilometers, about 70, 80 miles. Benyamin: Right, so basically, the problem was you couldn’t get far, and then if there happened to be an electric charging station, you’d have to sit there for an hour? Brian: Well, that kind of gets to the sad ending, and as you sort of guessed from the title of the book, Totaled, which doesn’t seem like it has a positive ending, the company did go out of business. Better Place is not in existence anymore, and part of the reason that happened is that only about 1,000 people in Israel bought the car. The company expected, I think, 14,000 people to buy it within the first two years, but they only got 1,000. Brian: There are lots of reasons why the car didn’t sell. Probably the biggest reason, and this is all in the book, and I encourage everyone to go to brianblum.com, which is where you can find all the information on the book, and it’s on Amazon as well. Brian: Well, that’s the job, right? But when Shai Agassi, the CEO and founder of Better Place, was pitching the car and the company and the vision, originally, and he did amazing things in terms of getting the word out. He did a TED talk that was seen by over a million people. He was on the cover of Wired magazine, named to Time magazine’s top 100 entrepreneurs of the year. Another list from Fast Company, also, of top entrepreneurs. Really, people were extremely excited in 2008, 2009. When he would talk about the car, he would talk about how it would be either free or inexpensive, and the model was kind of interesting. It was not going to be that you would just buy the car, but you would buy the car and a subscription, the way that you buy a cell phone package. Brian: So, you know how you buy an iPhone from AT&T and you get it for $200 subsidized, and then you pay a certain amount every month for your package. Same with the Better Place car. You would buy the car for a subsidized or even free amount. Then, you would pay, say, 150, $200 a month for your miles, for your electricity. Not your minutes, for your phone, but your miles. You’d pay that every month, and that would allow you to go 1,000 kilometers and to switch anywhere you wanted, plug in anywhere you wanted. Benyamin: So, the most expensive part of it is the batteries are a very expensive part of these cars. Basically, Better Place’s idea was that you were you going to be, I guess, renting or subscribing, and you just go to … You go to one of these gas stations and they pop a new … Instead of having to spend an hour charging one battery, they’ve already got pre-charged batteries waiting to pop into your car. Brian: Exactly. I mean, even today when you … I mean, I was in California a couple months ago, and it was at the California Computer History Museum in Mountain View, and outside of the museum, there was a bank of about seven Tesla super chargers, and there was a line of cars. I still don’t understand exactly why there was a line of 10 cars, waiting to charge in these super chargers. Each super charger probably takes about 30 to 40 minutes to get it up to the capacity that the car needed. So, these cars were waiting and just waiting and waiting and waiting. That’s not something that people really want to do. People want to pull into a gas station or at an equivalent electric switching station, and in five minutes, be on their way, just as they would with filling up a tank of gas, not wait for 30 or 40 minutes. So, that’s what the switching stations really allowed you to do. Benyamin: It still seems like a good idea, because you’re saying this problem of wasting time at a charging station still exists. Brian: It does, but people didn’t love the idea of switching batteries, and there’s a lot of different reasons, but let me go back to the price of the car, because I was … I sort of left you hanging there, and I know you wanted to know what was the price of the car. So, the idea was the car would be inexpensive or free, but when the car actually was announced and the price was announced, it actually came out at about $35,000. Now, that sounds like a lot, and it is, by US standards, but it’s not so much by Israeli standards. A Toyota Corolla, or a Mazda 3, or a Honda Civic in Israel costs about $35,000 with all of our taxes. But people expected a free car, because that’s what they were promised. They were going to pay a subscription and get the car for free. Brian: On top of that, the car did not include the battery, all right, so when you bought your car from Better Place, or from Renault, through the Better Place subsidiary, the battery was owned by Better Place. You had sort of an empty shell, and this makes total sense, because when you buy a gasoline-powered car, you don’t fill the car with gas for the next five years, right? You fill it up. So, why would you buy the batter? The battery was owned by Better Place. You would then, essentially, rent it as part of your subscription fee, and this also had a great advantage in that when the battery was depleted or the range was less … You know how a cell phone battery or laptop battery, the range goes down after a time, and you get 70%, or 60% charge? Same with an electric car battery. It’s the same lithium ion battery. Brian: So, let’s say that that battery in your car is down to about an 80% charge, or whatever it is that, say, Better Place set as their minimum. Well, they could say, “You know what? We’re retiring this battery. We own the batter, Better Place. We’re putting it into the station, we’re retiring it, we’re sending it off somewhere to do storage for solar power, and we’re going to give you … Make sure all the batteries in the network are new enough that they can get, say, 95%.” That’s a real advantage. That’s something that the system really made possible. That said, people still don’t like the idea of not having the battery in their cars, like what? I paid all this money and you didn’t even give me a batter? Brian: Exactly. So, I don’t think that the battery switch model is coming back. Benyamin: Our Friend From Israel is a production of FromTheGrapevine.com. If you’re enjoying this podcast about Better Place, you may be interested in a story we published on From the Grapevine about a team of Israeli inventors who created a car that can fold up while you’re driving so you can weave through traffic, and when you arrive at your destination, it can fit into a parking space the size of a motorcycle. Here, take a listen to what one of the inventors had to say. Benyamin: Check out the story of the Incredible Shrinking Car, on fromthegrapevine.com. Now, back to today’s show. When Shai Agassi gave his famous TED talk in February 2009, it was at a high point in the green revolution. His timely call to get away from our dependence on oil was hitting a zeitgeist at just the right moment. Benyamin: So, let’s take a step back. You briefly mentioned Shai Agassi, and he was the founder of Better Place. He’s an interesting character. Can you tell us a little bit about him? Brian: Shai Agassi is probably one of the most, if not the most charismatic entrepreneurs Israel has ever seen. Thomas Friedman once said that he could sell camels to Saudi Arabia. He was a born salesman. He still is. I mean, he’s still an amazing guy, one of the smartest people you’re ever going to meet. He graduated high school early, went to the Technion, served in an elite army unit, established a couple companies, sold one for $400 million. Eventually, was a leading executive at SAP, the German software company, on a fast track to become, at some point, the CEO, and he wasn’t even 40 at this point. I mean, really young, dynamic guy, amazing. Brian: Then, Shai went out and started talking it up. He presented it at the Saban Forum, that’s Haim Saban of the Mighty Morphin Power Rangers, his forum. At that forum was Bill Clinton and Shimon Peres. Bill Clinton told Shai Agassi, when he heard about the plan, “You got to make this happen. Your job at SAP is not as important as making the world a better place.” Then, Shimon Peres calls Shai Agassi up at home and says, “How can I help?” He offered to introduce him to the right people in the corridors of power in Israeli government. They started meeting with car companies, they started getting tax reductions, and eventually, they raised $200 million for the series A round. It was one of the most successful startup rounds in history at the time, in 2007. $200 million was a lot. Today, it might seem like nothing, but it really was, at the point, and before the company was done, they had raised nearly $1 billion. Brian: Well, I wouldn’t say he exactly ran in those circles, but he used sometimes play in the World Series of Poker, which took place in Las Vegas. At some point, Ben Affleck and Tobey Maguire were also in those World Series of Pokers, and Shai won a few small, but decent-sized pots as part of his poker playing, but he gave that up, actually, when he started Better Place. When Better Place went out of business, actually, he went back and played a little poker and won a little bit more. Benyamin: Were you in an environment … I mean, I know you’re from Berkeley. Was that part of your whole ethos? Brian: Yeah, it’s something that I always, always was supportive of, yeah. But it wasn’t like I set out one day and said, “I’m going to buy the car tomorrow.” What actually happened is it was the summer of 2012 and my family and I were looking for something to do on an August afternoon. The kids were with us, they’d already been to the zoo and the movies and the beach, and we were actually looking for something fun to do. Better Place had built this amazing visitor center in Pigolud, which is just south of Herzliya and north of Tel Aviv. Brian: They had a movie with a hologram, and who can’t resist showing their kids a hologram, right? They had test drives of the Better Place Renault Fluence. So, we packed the kids in our 1994 Toyota Corolla, we still had it. It’s still in the family. My daughter has it now. We headed off to the visitor center, we drove the car, and we fell in love with it on the spot. I was already predisposed, but I was so taken by the car and how well it drove, and the whole vision, the whole movie and everything like that, that within two weeks, we put down our money. Brian: Exactly, and we were going to get the car in about a month. It takes about a month to come from the ship and clear customs and get through all the paperwork and bureaucracy that Israel puts on cars. Before the month was over, news broke that the CEO, Shai Agassi, had been fired. We’re like, uh oh. This is not supposed to happen; this is the great promise of the book Start-up Nation; this is the company that’s going to take the world off of oil. How did that happen? Brian: This is the end of September, 2012. So, I called up my salesperson and I said, “Can I return the car? I don’t think I want it. This does not bode well.” He said, “No. The car’s already here, you’ve already got your license plate. We’ve put the decals on. It said 100% electric on the side. I think you ought to take the car.” We thought okay, we’ll give it our best chance. Nine months later, the company filed for bankruptcy. Brian: Oh, the nine months were fantastic. During those nine months, we drove everywhere, all the places I told you about before. We drove around the country, and we used to give people … We’d take people on field trips. We’d just take them to a switch station so they could see the robot coming in and out. I mean, it was an adventure, and we only got stuck once, and not because we ran out juice, but because there was something wrong with the robot one day, and the car got stuck. But they had a replacement car sitting at the station, and we called up the customer service people. They opened the door to the station where a pair of keys was hanging on a hook. They said, “Go out to the car, drive home.” We drove home in the replacement car. The next day, a Better Place employee comes out, brings us our car, takes the replacement car back. Amazing customer service. Brian: Yeah, exactly. There’s nobody at the station. There’s nobody opening the door, that the arm goes up, you go in. It’s all automatic. Benyamin: So, is it just that it was … This was 10 years ahead of its time, or why didn’t it catch on? Brian: So, in a way, it was ahead of its time, and in a way, it’s kind of behind its time. It’s ahead of its time in that they were trying to solve a problem that existed in 2007 with technology, but by the time it was out, people were already on to longer range batteries, and they were thinking about Teslas, and they were thinking about more sophisticated cars, and Better Place was stuck with the technology that it had started developing five years earlier. That kind of made it antiquated even before it got launched. I talked about how people want a car that can charge up in five minutes, just like in a gas station. Brian: Well, that’s coming. It really is coming. There are companies in the States, and a couple companies in Israel that are making batteries that have longer ranges and that can charge up quickly, and that don’t have to sit for 30 or 40 minutes, and don’t have to be switched in switching station. When you see those come, I think then you’re really going to see electric cars take off in a way that they’re not taking off yet. Even though we hear about electric cars all over the place, there’s still very tiny niche, and I don’t think they’re going to grow to be bigger than a niche until we have a system that is better and more technologically savvy than we have with regular cars. I don’t want to trade down, I want to trade up when I go to an electric car. Benyamin: Right. You don’t want to sacrifice convenience. Brian: Exactly. I mean, I actually have somebody in the book who says, “It’s okay. You’ll sit for 30 or 40 minutes, you’ll get a cup of coffee, you’ll get a croissant, you’ll read the newspaper. It’s no big deal while you’re waiting to charge up.” Well, it is a big deal. There’s a funny story that I tell in the book as well. A couple that I met who live near the Dead Sea … They have an electric car from Better Place. Now, there was a problem … This is one of the many problems that sort of beset the company, and one of the problems was that the range that the car was supposed to get when Better Place designed the system, was supposed to get between 140 to 160 kilometers on a charge. Okay, so they built the stations based on that distance. The stations between the northern end of the Dead Sea and the southern end of the Dead Sea, there’s two stations there, were 160 kilometers apart. However, when the car actually came out and we actually saw what kind of range the battery could get, it could only get 120 kilometers. Brian: Could not make it, so if I’m going to drive from Jerusalem, where I live, to Eilat, I’m going to go by way of the Dead Sea. That’s the way that I would go. But I couldn’t do it, and so I interviewed this couple. For me, it’s bad enough, but there’s this couple that lives in the Dead Sea, and they can’t get to the next station, so I said, “What do you do if you want to drive to Eilat, or get to the next station?” They said, “Well, we drive the car to the hotels at Masada. We have a cable. Wherever there’s an outlet, we plug in the cable, we wait for two hours, we get a cup of coffee, the croissant, we read the paper. Then, we have just enough juice to drive to the next switching station to switch batteries to continue on our journey.” Does that sound convenient to you? Benyamin: Wow, so they’re basically going to a place in between their house and the gas station, and just plugging the car in, getting a little more juice to get to the next station. Benyamin: If you’re enjoying this podcast, you’ll also want to check out our recent interview with Dr. Avi Loeb, the chair of Harvard’s astronomy department. Dr. Loeb is actively searching for alien life. Dr. Avi Loeb: My wife, on the other hand, said that if they ever offer me a ride on the spacecraft, I should make sure that they leave the car keys with her and that they don’t ruin the low one in the backyard when they lift off. Brian: The company was sued by the liquidators who were appointed by the state of Israel to figure out where the money went. They wanted to determine if there was any negligence. I can tell you right now, in my opinion, there was no negligence. There was some bad decisions, there was the kind of things that happened with startups, but malfeasance or ill will, I’m not going to go that far at all. But the state of Israel wants to make sure, so there’s a lawsuit that’s going on. It’s been going on now for almost five years, so the stations are sitting there like ghosts. They’re just rotting shells filled with junk, graffiti, broken glass. There’s a couple stations that are particular noteworthy. One of the stations is near the entrance to Jerusalem. Now, the station was already in this spot, but it seems kind of ironic now. It faces on the city’s main cemetery, okay. Now, I had originally wanted to call the book Gone to a Better Place, which would have been great for that particular image, but my agent convinced me that Totaled was a better name. Benyamin: That’s funny. I like Gone to a Better Place. Brian: There’s another one. This is an amazing story, you can see this. There’s actually a picture, you can find it on the web. It was in the Jerusalem Post. It’s of the Better Place station in Beit Shemesh, which is about 20 miles south of Jerusalem. It’s been converted so that it no longer has a switch station, but it sells, get this, tombstones. Benyamin: That is a little touch of irony there. So, I remember when I watched the documentary, I’m sure you’ve seen, Who Killed the Electric Car? It was the EV1, I think, back in the United States, and it also … It was a hot item for a while. There was a bunch of devotees who bought it, drank the Kool-Aid, and then, it was General Motors, I think, decided to stop the program, and there was these sad scenes in the movie where these owners of the car had to return the car and say goodbye to the car. It was like losing a family member, it was just sad, and I think they were crushing the cars at the end when you returned the car. Benyamin: I mean, it’s such a sad image, and you did something similar with your Better Place car. You had to return it, is that correct? Brian: So, what happened is that in addition to the state of Israel suing Better Place, we, a group of about 250 drivers, sued Renault. Now, we didn’t sue Better Place, because there was no money, because the company was bankrupt, but Renault’s a big company. We didn’t sue because we wanted our money back, actually. We sued because we wanted new batteries. Despite everything that happened, we still love the car. I still am a fan of this car. I still loved driving it and the power and the quiet and the good that it does for the environment. But we couldn’t drive it very far. As the battery degraded, first, we could get as far as the airport and back. Then, we could get as far as … From Jerusalem to the city of Modi’in and back. Benyamin: In theory, you don’t need these gas stations, because you can just plug it in at home? In theory, you can keep using it, but eventually, the batteries start to degrade? Benyamin: Then, you’d keep using it and just plugging it in at home? Brian: Exactly, and Renault said, “We don’t have any batteries. We’ve moved the production facilities from Turkey,” which is where it was, “to South Korea.” The car was actually sold for a while under the brand name the Samsung SM3 in South Korea. You could see it. You could still see it in Seoul, South Korea. They said, “We’re not going to ship batteries all the way from South Korea to Israel.” So, eventually, they made us an offer that we couldn’t refuse. They basically offered to pay us half of what we paid for the car, originally. That’s actually not a bad return on investment for four and a half years, to get 50% of your money back. So, we sadly took the deal. We returned our car. Brian: Unfortunately, it’s not available in the United States. It’s a Suzuki Crossover. It’s a great car. I like the car very much, but it’s nothing that Renault Fluence. Benyamin: Well, talk to me just for a minute about … Israel is doing some incredible car technology. I know Mobileye which is a driverless car technology, came out of Israel and Intel recently acquired them. I was recently at Ben-Gurion University and I was seeing all the autonomous car research they’re doing there. So, on the one hand, you have this Better Place story, but on the other hand, you see all this innovation regarding automobiles coming out of Israel. Brian: So, Israel has become … This is crazy, has become one of the world leaders in automotive technology. Why is it crazy? Because we don’t make any cars, and yet, we have all of these companies involved in driverless cars and sensors and things called lidar and radars. The reason why this is happening is not because of the cars, but it’s because of software. Cars today are probably about 50% software. They’re no longer just drive trains and wheels and engines. They are all of the pieces that connect the car to other cars, and to the systems, and that tell you when you’re running out of this and that. Benyamin: It’s computers on wheels. Brian: Exactly, and Israel is an expert when it comes to high tech and software. So, we’re making a lot of this stuff. Now, you have companies like Mobileye, which originally made a technology that allowed you to not swerve lanes or get too close to somebody else, it would beep. I have one in my car now, and it’s constantly beeping if I drive too fast. But Intel realized that they had a technology that could help jumpstart Intel into the driverless car future and compete against Google and Apple and Tesla and everybody else. So, Intel bought them for almost $16 billion, a huge, huge win. Benyamin: So, where do you see the Israeli car industry, I’m using that term in quotes, industry, five, 10 years from now? Brian: I think we’re just going to keep innovating. As with all of high tech, there’s going to be more acquisitions. There’s a company that I was very excited about that I saw when I was out in California, also at the Computer History Museum. It’s called Phantom Auto. They’ve got offices in Silicon Valley, but their R&D is here in Israel. They make software for remote control of driverless cars. So, imagine that you’re in a driverless car and it’s taking you … Uber’s taking you, or whatever. Something happens, and somebody needs to take control of that. Well, Phantom Auto has the whole backend and the whole control center so that somebody can take control of those cars. This is the kind of stuff that we’re going to keep seeing more and more from Israel. Benyamin: Hopefully, you’ve been enjoying our new podcast, Our Friend From Israel. If you have, head on over to iTunes or Google Play and leave us a review. The more reviews we have, the more people discover the show. If there’s a particular episode you’ve enjoyed, like the one with Michael Pasikov, the cancer survivor who plays piano with one hand, or the alien hunter, Avi Loeb from Harvard University, any of those episodes … If you’ve enjoyed those, why not tell a friend about them? Send them a link to that episode so that we can have more people like you enjoying Our Friend From Israel. Now, back to the show. So, what do you think is Better Place’s legacy in this whole landscape? Brian: Better Place was one of the most audacious companies that Israel has ever seen. They really wanted to change the world. They raised a huge amount of money, they got a huge amount of hype, and even though the company didn’t succeed, I think we actually need more people like Shai Agassi, the founder and entrepreneur behind Better Place, even though the company went out of business, because people who dream big, who really want to make a difference, that’s what we need in the world today. Brian: We don’t need small-minded people who are just trying to make a buck, or make something to sell more of the latest Pez dispenser. That dates me. Pez dispensers are on Ebay. But we need world-changing revolutionaries, and the Better Place legacy shows that if you have the chutzpah to really put your mind to it, and you have an entrepreneur who believes in himself and has the talent to do that, you can achieve amazing things, even if your company, in the end, doesn’t succeed. Benyamin: Have you heard from anyone at Better Place who’s read your book, and what they thought about it? Brian: It’s kind of a mixed bag. Some of the people at Better Place think it’s very accurate. Some of them think that I didn’t get it exactly right. I’ll tell you, between you and me and the podcast listeners, that I was not able to convince Shai Agassi, the CEO and entrepreneur behind the company, to talk to me for the book. I understand why. First of all, he was being sued, so that would be a tricky time in any case, and you want to control the narrative. You want to get it exactly right, and I’m sure he was concerned that I would distort certain things and not things get right, and so he chose not to participate in the book. So, I wound up writing the book, talking to about 80 different former company executives, car owners, investors. I read through hundreds of articles, watched all these videos, looked at emails and Power Point presentations, and I think I got the story pretty close to what really happened, but I’m sure that some of the people at the company would disagree. Brian: Right. I knew what the customers were thinking, I knew what the experience of driving the car was like. I hope that I didn’t have an agenda. I don’t think I did. I really just wanted to tell the story. I found the story fascinating. I really wanted to find out what happened, because when the company went out of business and I didn’t see it coming … I’m a journalist who does an incredible amount of research on everything. So, even in my personal life, if I’m going to go on a vacation, I’m going to spend hundreds of hours, probably, more than I’m actually on the vacation, researching every destination, every flight, every restaurant, every opportunity. If I’m going to buy a hard drive, a $60 thumb drive, I’ll probably spend 300 dollars of my hours researching. I just didn’t figure out how was it that I jumped into buying this car without doing my due diligence, without doing my research. So, I think my book is, in a way, my due diligence. Brian: Shai is working on some private project. He hasn’t started anything big at this point. At one point, he was working on another electric car company. It didn’t succeed. He’s kind of laid low. I think until the lawsuit’s over, he’ll probably keep laying low. Benyamin: Despite Better Place’s downfall, you’re very … As a business reporter here in Israel, you’re very bullish on Israeli startups. Brian: Yeah, that’s basically what I spend my time doing, is looking at the coolest, most exciting startups, and I am never bored. Benyamin: Well, Brian, thank you so much for inviting us into your home and letting us chat with you today about your book, Totaled: The Billion-Dollar Crash of the Startup That Took on Big Auto, Big Oil, and the World. It’s available at your local fine book sellers, it’s available on Amazon, and you can find out more about Brian at brianblum, that’s B-L-U-M, dot com. Thank you so much. Benyamin: Our Friend From Israel is a production of fromthegrapevine.com. Extra notes and a transcript of today’s episode can be found at ourfriendfromisrael.com. Our show is produced by Paul Kasko, editorial help from Jamie Bender and Alana Strauss. Our head engineer is Everett Adams. Our theme music is by Haim Mazar, a Hollywood film composer who grew up in Israel. You can visit our website at fromthegrapevine.com to find more episodes of the show. Subscribe to our podcast on iTunes, Google Play, or your favorite podcast app. Feel free to leave us a review there. When you do, it helps others discover Our Friend From Israel. I’m your host, Benyamin Cohen, and until next time, we hope you have a great week.